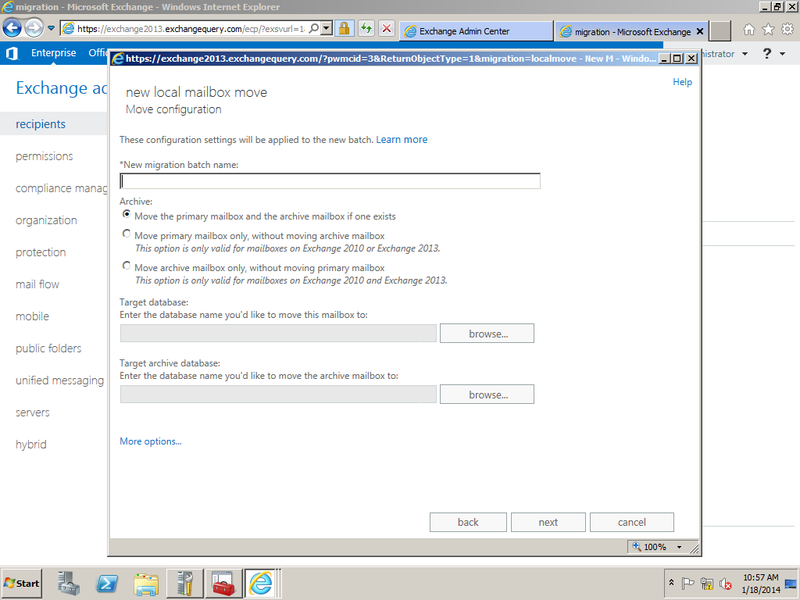 In Exchange 2013 the mailbox move have been improved. It has lot of additional features added in like it gives us the results of the status of move, synched, moved and failed. 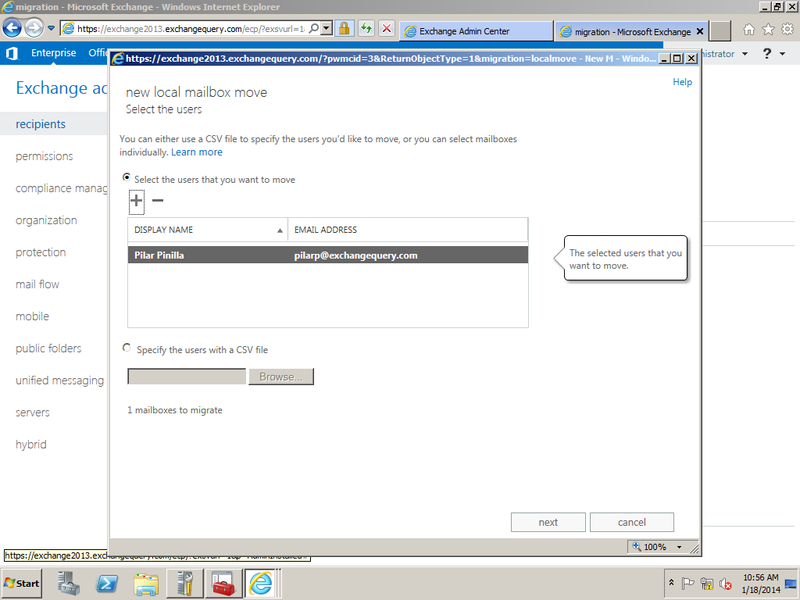 The below article will help us in performing mailbox move in Exchange 2013 through EAC. 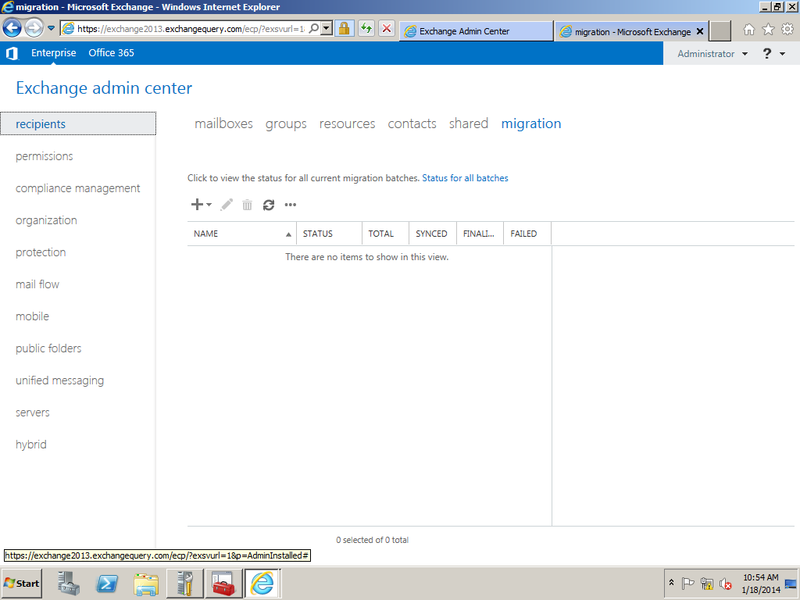 Click on the + sign and select the option move mailbox to a different database. 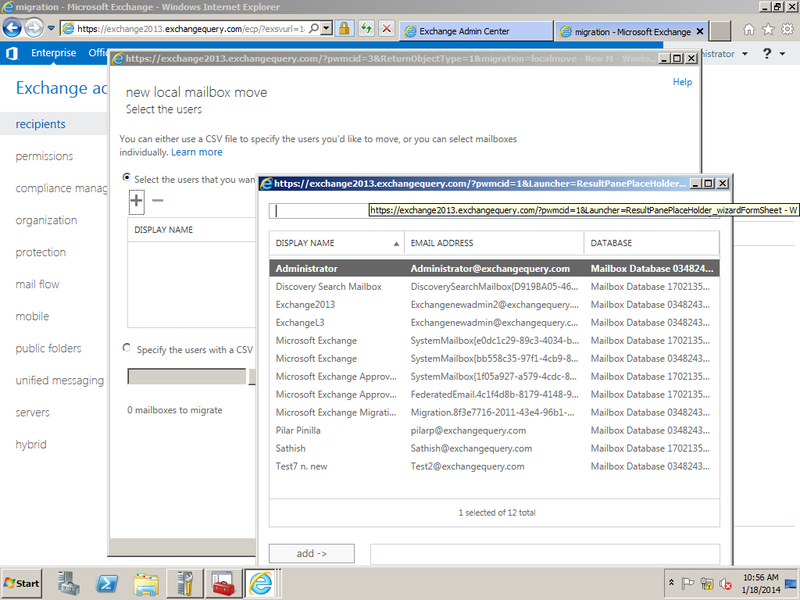 This option can be selected while we move any mailbox from Exchange 2007,2010 to Exchange 2013. The second option move to this forest can be performed while performing a cross forest migration. Now we can select the mailboxes that we need to migrate. Also we have an option in which we can upload the CSV file which contains the users list. 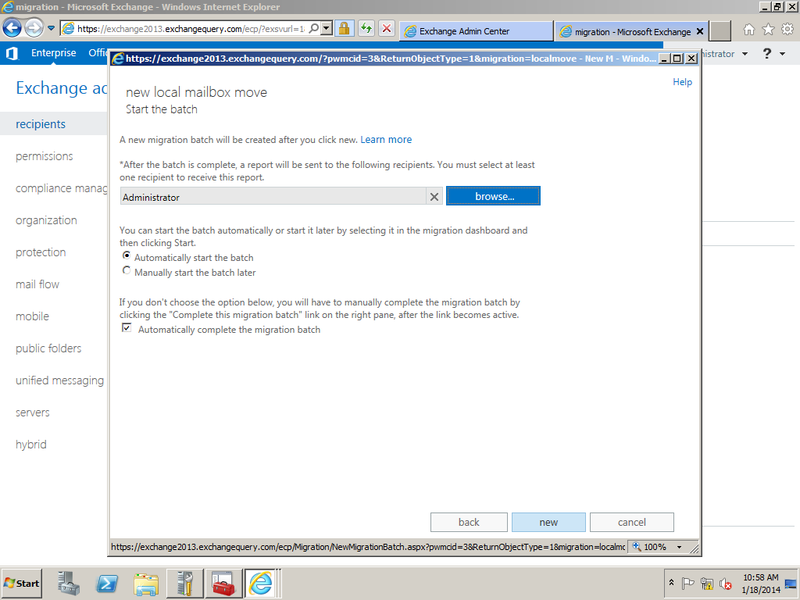 Here we can specify the Migration batch name. We have 3 options where it gives us options to move the primary mailbox and the archive or only the primary according to the requirement. 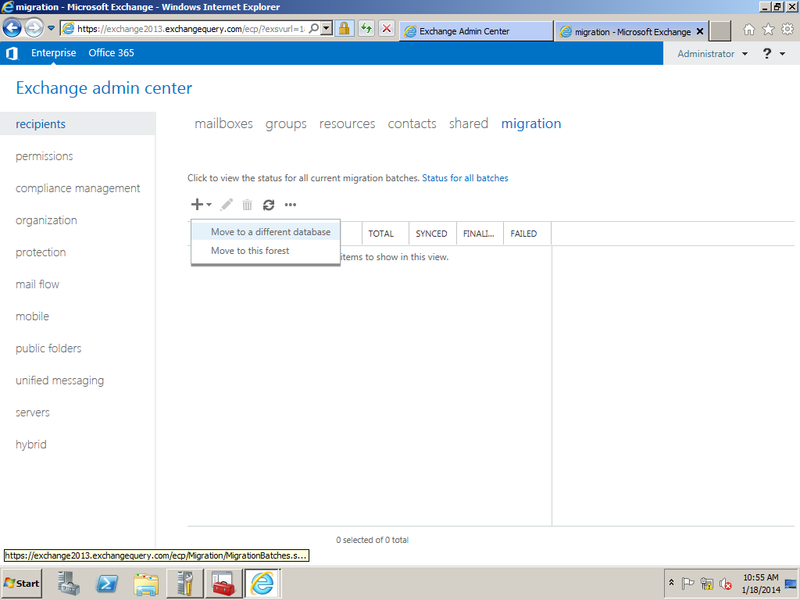 This is one of the best features which make the admins to migrate both the mailbox and the archive mailbox all at one go. 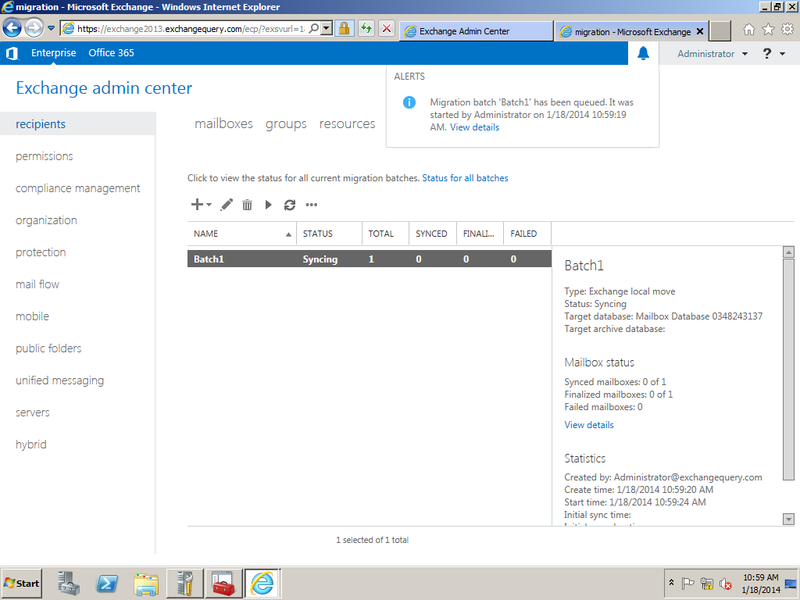 We need to specify the target database of the mailbox and the archive if specified. We have an option where the mail can be triggered to admins once the batch is completed.Also we have 2 options like automatically starting the batch and manually starting them as well. This will be the final output of the result which shows the batch status. Here it gives lot of info which will be very useful while performing the migration.